Novel antibiotics to overcome drug resistance: A synthetic biology approach. This school package offers educational materials that explain elements of microbiology, biochemistry and synthetic biology. It covers the problem of drug resistance and an opportunity to tackle it using peptide antibiotics manufactured by means of synthetic biology. 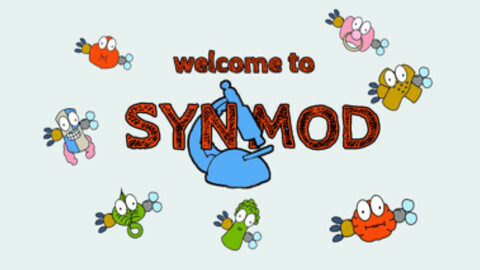 The package contains a lesson plan, a class presentation and additional theoretical materials for teachers, a crossword, and an educational game SYNMOD, available for Android and iOS. It is aimed to teach the principles of synthetic biology and inform players about the problem of drug resistance, ways to overcome it, and novel antibiotics production. Download school package and educational game for Android and iOS Apple devices! Antibiotics School Package by Biofaction is licensed under a Creative Commons Attribution-NonCommercial-NoDerivatives 4.0 International License.